5 Holiday Sleep Tips to Help Keep the Peace this Season! It’s that time of year! Excitement over the holiday season, loads of treats and sugar, and travel from one holiday party to another (and another… and another!) 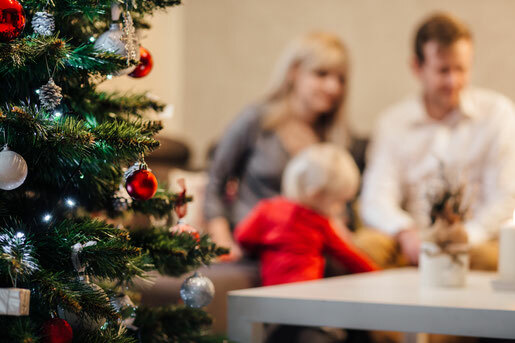 The holidays are a fantastic time of year for reconnecting with family, starting new traditions, and taking part in exciting holiday activities; but, none of these is particularly joyful or full of cheer alongside an exhausted wee one who has missed three days of naps or gone to bed way past bedtime for the past week! Many of us may be travelling to another city or even another country to visit family or friends this holiday season. Car rides and long plane trips can be tough on babes still needing naps, but you can work around this! If flying, I suggest you schedule flights for first thing in the morning when baby is most-rested and most-content. Do not assume your child will nap on the flight, but do bring her favourite comfort object (e.g. blankie, soft stuffy) and a book on the plane and let her sleep in your arms if she can. Also, if you have a significant layover, you can try to get your little one to nap in a stroller or baby carrier during this time in the airport between flights. Try to get an early check-in at your hotel so your baby can have an afternoon nap once you arrive. If this is not possible, then go for a stroller or car ride when you reach your destination and let your little one catch some Zs while you enjoy the views! Definitely count on an early bedtime the first night of your vacation. If you’re driving to your destination, again, start first thing in the morning and – if you can – have someone sit in the back with your babe to entertain her until it is around her usual naptime; then, let her drift off and get a decent sleep during your drive. Once again, try to get her room set up as soon as you arrive at your destination so she can have her last nap – or, at minimum, a proper bedtime – in a comfy space at your destination. Whether you’re staying at a hotel or at Grandma’s for the holidays, remember that the best way to ensure your little one will sleep well on the road is to create a familiar sleep environment to what she has at home. So, ensure she has a crib, travel crib, or bassinet to sleep in when you are staying at a hotel or with friends. Remember to take along her sleep bag, her comfort object (if you use one), a sound machine (if this is what your little one is used to), and even a portable blackout blind to make the sleep space very similar to what’s at home. This will help to create a familiar, comfortable sleep environment for her when she’s away from her usual surroundings. Whether you are putting your child down at a friend’s house while you enjoy an evening of holiday cheer, or staying in a hotel over Christmas vacation, consistency is key to your child’s great sleep! So, continuing a consistent bedtime routine each night when you are away from home will help to ready your child for sleep and make bedtime much easier on everyone! Do a bath if you can or, at minimum, simulate one with a warm, damp cloth and a quick wipe down. Baths are great sleep cues for little ones, so it’s an important step – try not to skip it, along with all the other regular steps of your fantastic bedtime routine! It can be tempting to skip naps altogether when the chaos of the holiday season ensues and you are travelling from function to function, but try not to make missing naptime a regular occurrence. When your baby gets proper daytime rest, she will get better rest at night as well – sleep begets sleep. Of course, there will be days when the crib-nap is just not possible, and your little one may doze off in the carrier while you are meeting Santa with your preschooler, or may take a snooze in the car as you travel from one holiday party to the next, but, again, try to make this the exception and not the rule so your little one doesn’t get a big sleep debt for Christmas this year! It can be tempting to give in to the pressure of well-meaning friends and relatives who just want your baby to miss this nap so they can cuddle a little longer, or beg you to let your toddler stay up two hours past his bedtime to watch Christmas movies with Grandma. But, you are in charge – do not forget this. This is your child and if his healthy sleep habits are a priority for you then it is not unrealistic to ask others to respect this. 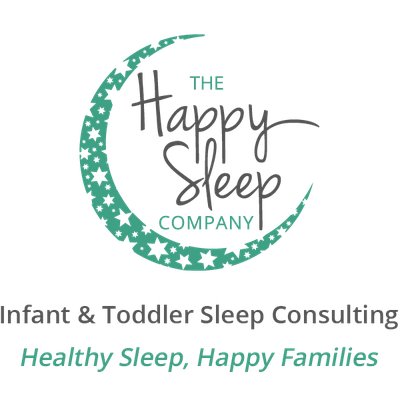 Politely explain to your family and friends that it is your child’s naptime or bedtime, and they will be much more rested and pleasant later or the next morning if they don’t miss out on proper sleep. Most of all, do not stress if sleep is a bit out of the ordinary for a day or two over the holidays –well-rested children who are already great sleepers generally bounce back quite easily from these types of “off” days.